Genus and Species: Monotypic genus. Cyanopsitta spixii. Originally named Sittace Spixii Wagler 1832 (Collar et al. 1992). Cyanopsittaca Bonaparte 1850s, Cyanopsittacus Salvadori 1891 (Juniper 2002). Subspecies: No subspecies are known to exist. Other common names: Little Blue Macaw, Ararinha Azul (PO), Spixara (D), Ara de Spix (F), Spix Ara (DK), Guacamayo de Spix (E). Type specimen: Collected by Johann Baptist von Spix in April 1819 in Joazeiro, Rio São Francisco, Brazil, used by Johann Wagler in describing the species in 1832. Etymology: Cyanopsitta translates to blue parrot; spixii is after Johann Baptist von Spix. Various shades of blue, including a pale blue head, dark blue wings and tail. The underside of the wings and tail is black. They have a bare area of grey/black facial skin which sometimes fades to white and is white when they are juveniles. Beak is entirely black except in juveniles which have a neat white stripe down the centre of the beak. The white beak stripe and facial skin off juveniles disappears after 1-2 years. Feet are light grey as juveniles before finishing up dark grey, almost black when adults. The eyes are dark as juveniles but fade to white as the birds mature. The last known wild individual was known to be at least 20 years old, at the time of its disappearance. There is one Spix’s Macaws in captivity which hatched in 1976 and is the oldest recorded individual of the species. Information about the birds’ natural ecology and behaviour is limited, as research only started when there were merely 3 known birds left in the wild. However, there are records of them feeding on the following vegetation; Pinhão (Jatropha pohliana var. 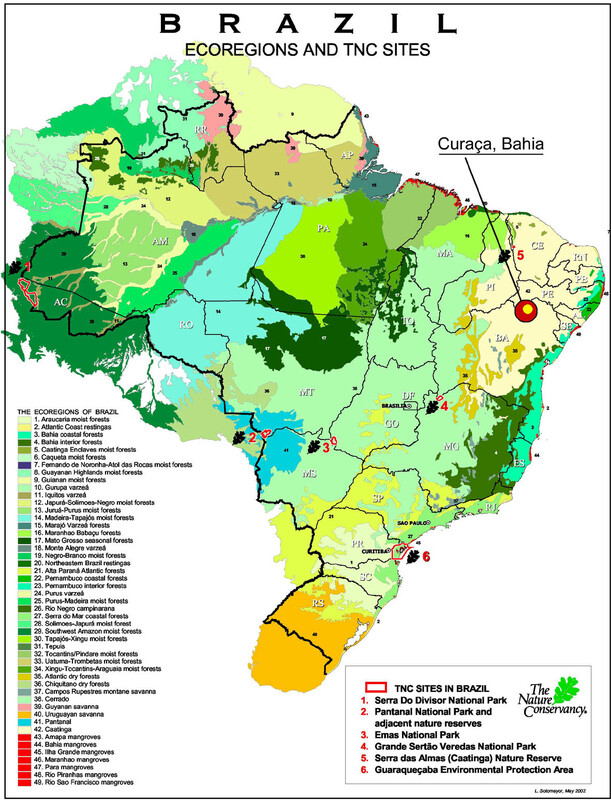 mollissima), Favela (Cnidoscolus phyllacanthus), Joazeiro (Ziziphus joazeiro), Baraúna(Schinopsis brasiliensis),Imburana (Commiphora leptophloeos), Facheiro (Pilosocereus pihauiensis – indirect record, from seeds on the faeces) ., Phoradendron sp., Caraibeira (Tabebuia caraiba), Angico (Anadenanthera macrocarpa), Umbu (Spondias tuberosa) and Unha-de-gato (Acacia paniculata). From the ingested food items, 90.1 % were seeds (de Melo Barros 2001, per in litt. to Y. de Soye, 2005). However, reports from previous Spix’s Macaw researchers seem to add another two plants to this list, bringing the total to thirteen species: Maytenus rigida (Roth 1990) and Geoffroea spinosa (Pontual 1992b).Da-Ré (1994) adds also Cordia sp. “Freijó” , but this is probably Combretum leprosum, which was erroneously identified (Y. de Melo Barros, pers. Comm.). In the wild, Spix’s Macaws nested in tree hollows. Copulation usually lasts between 2 and 3 minutes and is done side-by-side with both birds remaining on a perch with one leg of the male (usually the right) mounted on the back of the female’s rump. It is thought that the normal clutch size in the wild was three eggs. However, in captivity the most common clutch size is four and it can range from one to seven. An average egg is 40mm x 30mm and weighs 20 grams when laid. They lay a white oval shaped egg. 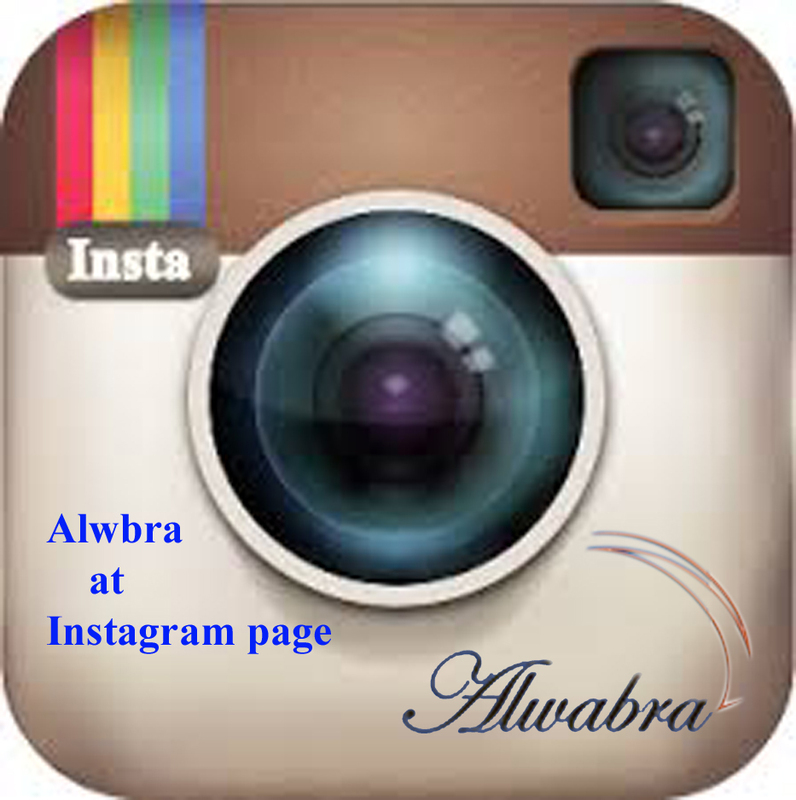 Incubation period is 25-26 days and only the female performs incubation duties. Females are fed by the male inside the nest as well as outside the nest. Chicks hatch mostly naked with a small amount of down covering. Fledging occurs at approximately 70 days and captive, hand-reared birds become independent at between 100 and 130 days. 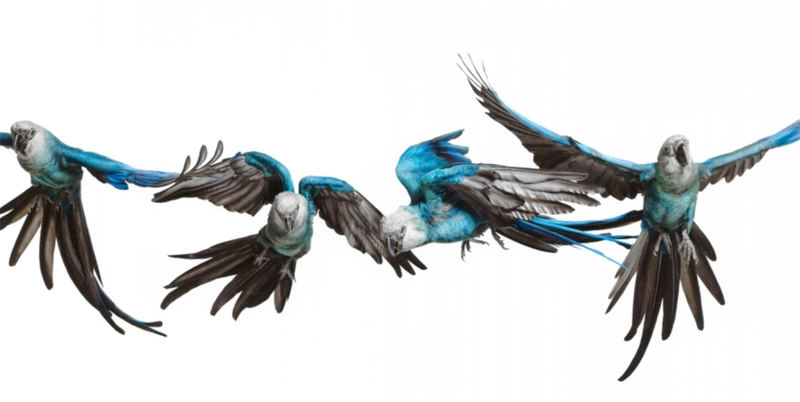 The Spix’s Macaw is endemic to the state of Bahia which is located in the north-east of Brazil. There they inhabit a great expanse of semi-arid territory known as the Caatinga. Within the Caatinga there are micro habitats, one of which – the Caraibeira riparian woodland, was home to the Spix’s Macaw. This particular habitat zone is located close to a small town called which is situated along the San Francisco River. One of the tributaries to feed the San Francisco River is the Melancia Creek and it is along this water-way where you can find former Spix’s Macaw habitat. Caraibeira (Tabebuia caraiba) is the dominant tree species found along the banks of the Melancia Creek; it is also the most important tree species for the Spix’s Macaw, since it provides nesting hollows, shelter and food for the species. The Spix’s Macaw may not be the largest or most colourful macaw species but it is the most critically endangered parrot in the world with no known wild specimens remaining (IUCN, 2004). The species was feared to be possibly extinct in the wild in the early 1980’s, until it was rediscovered in 1985, when just 5 birds, including two pairs, were located in the north of Bahia. Trappers had been active in this area for many years, removing at least 23 birds and likely many more. Sadly, by 1988 it appeared the last 5 birds; including the only three wild birds to be studied by biologists, had been removed. However, in 1990 an exhaustive survey of the area resulted in the discovery of a single wild survivor. This sole surviving bird was later determined by means of DNA analysis of a feather as being a male. The Brazilian authorities eventually located a wild caught female Spix’s Macaw at a private breeding facility which they had good reason to believe was formerly the breeding companion of the wild male. Thankfully the owner of the bird was willing to cooperate in a bid to return her to the wild. A release aviary was constructed on Concordia Farm in Curaça. In 1994 the female was introduced to the large aviary where before release she was re-acquainted with natural foods and allowed to gain much needed flight strength and fitness as it had now been at least six years since she was poached from the wild. After being released in 1995 her fitness quickly improved and her adjustment to life back in the wild was going very well. She was spending less time near the release aviary and her reliance on supplementary feeding was gradually reducing. She had been observed on numerous occasions flying and socializing with the wild male but unfortunately after two and a half months of repatriation she disappeared never to be seen again. It was later reported from a local ranch-hand that he had found the carcass of the bird directly below powerlines. The local range-hand said the reason why he did not come forward immediately with the knowledge of how the female died was because he feared the news would spell the end of the Spix’s Macaw recovery program in the region, as he thought that the bird that he supposedly found dead was the wild male. He felt that if the field biologist thought that there was a chance she was still alive but living in an unknown area, that this would ensure the continuation of the project. The project did continue but no more birds were released. The one remaining bird was last seen on October 5th 2000 and is thought to have died of natural causes as by this stage he was in excess of 20 years old. The species is therefore considered to be extinct in the wild but cannot be classified as extinct until all areas of potential habitat have been thoroughly surveyed. In 1990, the Brazilian Nature Conservation Authority established a permanent committee for the recovery of the critically endangered Spix’s Macaw. This committee included three private holders of captive Spix’s Macaws from outside of Brazil, as well as Brazilian officials, zoo representatives and biologists. The objective of the committee is to coordinate the activities of all the persons/institutions involved in conserving the species. Gangorra Farm, Curaça, State of Bahia, Brazil (400 hectares): Purchased in 2007 by the Lymington Foundation with donation from Parrots International and ACTP. 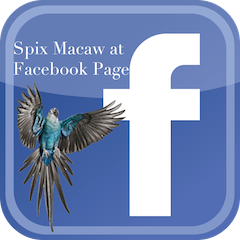 Currently there is approximately 93 individual Spix’s Macaw in captivity. 79 of these are participating in an international breeding program managed by the Institute Chico Mendes of Biodiversity Conservation (ICMBio), the natural heritage branch of the Brazilian Government. Most of these are managed at Al Wabra Wildlife Preservation (AWWP), State of Qatar. The population is experiencing very slow growth; primarily due to the low viability (approximately 10%) of eggs laid as a result of extreme close relatedness of all Spix’s Macaws in the world. Lymington Foundation, Sao Paulo, Brazil. In the last 8 years; 33 Spix’s Macaws have been bred at Al Wabra Wildlife Preservation, 5 in Spain and 5 in Germany. All of these chicks have been hand-reared by experienced staff, since it is considered a safer option than parent-rearing and the priority at the moment is to increase the population. When the captive population is considered more secure, breeding pairs will be given the opportunity to raise some of their own young. All Spix’s Macaw chicks bred are required to be close leg banded with a uniquely coded ring and at the time of their first health check, they are also to be implanted with a micro-chip transponder. Closed band size #12 (9.53mm) colored “iodised” aluminium, fitted when the chicks are approximately 120 grams (12-14 days for a parent-reared chick or 15-16 for a hand-reared chick).